aiSV-160HV fault diagnosis and testing. A06B-6127-H106 HV servo module is in stock – Now ! Fanuc 400V alpha I servo exchange, comprehensive testing and repair facilities are available on the high voltage A06B-6127-H106. Fanuc Alpha I interfaced servo drive module can be setup with our 30i, 31i test rigs fitted with a full suite of i generation HV Alpha modules (aiPS-HV, aiSP-HV). If required full testing of the A06B-6124-H106 or repair services are also available if need be. CNC offer all work in house and do not outsource any repairs to alpha SVM1-160HVi HRV servos or testing outside of the group. The Price for H106 HV drive unit is second to none. For either service exchange with a core credit exchange policy. Or used surplus or repair of the complete servo drive including control / interface board and the power board, assuming that they are in repairable condition. 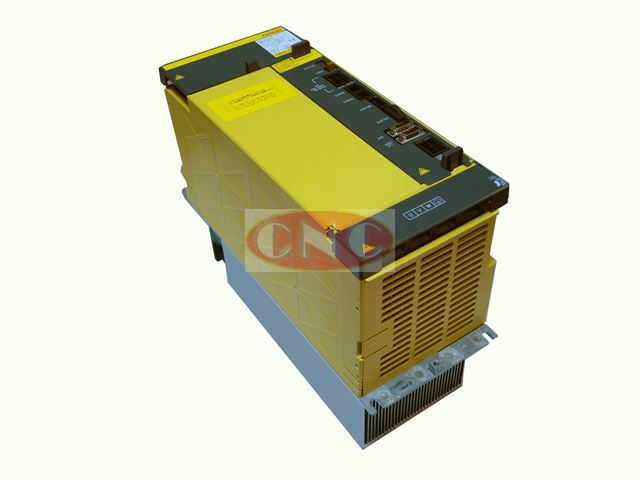 All A06B-6127-H106 high voltage 400V alpha servo amp units are tested on Fanuc i controls and Fanuc alpha i servo motors. Prices are available on asking (P.O.A).